The current trend for most Australian schools is to embrace social media, especially Facebook and Twitter. This is because through social media, there is direct communication and connection to both parents and students. Research shows that over 45% of internet users go to Facebook daily. The same research also shows that the daily average time that is spent by these users on Facebook is 23 minutes. Given these impressive stats, you can exploit the powerful nature of this social media tool to attract more students to your school. Through Facebook, schools can effectively market the curriculum they offer both to the students and to their parents. Another good thing with constantly being plugged on social media is that it keeps you in the know. You are aware of what activities the scholastic competition is involved in. Having the right information is important in staying ahead of the competition. There is nothing more important in your school’s Facebook page than the content. Take note of the fact that potential students do have varied concerns and interest, which means that the content you provide on the site has to be varied, as well as relevant, to meet the different interests. • Consider including video and photo content for the simple fact that images are more effective than text. • The school also needs to have a frequently updated blog. Make sure that you share the blog posts on your Facebook page. 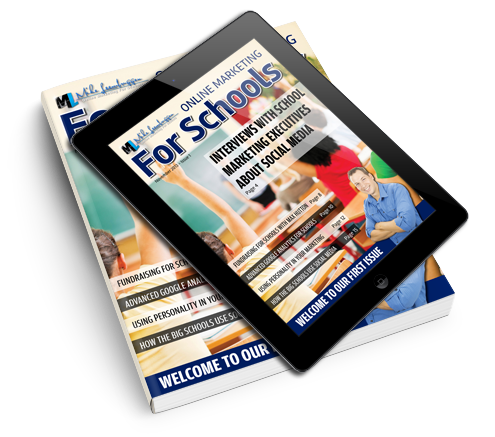 Your Facebook page should give visitors a sense of what your school is like. This is achieved by effectively sharing the school’s history. Make your page a learning portal that is unique, a place where future students will be able to learn more about the academic courses that your school offers, extracurricular activities, athletic programs and other important things your school offers. Facebook has a tool, called the Facebook friend finder, which you can use to search for friends. Merely creating a Facebook page should not be your only goal. On your school’s website, you can include a Facebook button, after which you are supposed to request visitors to your website to ‘like’ the Facebook page of your school. Join relevant groups and participate in their discussions. You can seek assistance from inbound marketing agencies to help you gain more from your web presence. A school’s website is very important because it acts as the public face of the learning institution. Not only does your web presence need to be visually appealing, but more importantly, it needs to offer useful information to students and parents. In case you are looking for new ways of increasing enrolment, social media marketing is what you need. It is a very influential and powerful way of reaching out to alumni, existing students, their parents, and future applicants.